Tamil Star Karthi Sivakumar, brother of celebrated hero Suriya, will soon hit the theaters with his new film in the offing, Biriyani. The film is a romantic comedy that will showcase Karthi in a very comical genre. Hansika Motwani stars opposite him in the movie. “When i come with Biriyani, the Telugu version that will hit screens on December 20, I also promise my fans that very soon I will do a straight film here. My brother Suriya has already launched one and i will follow suit’ said the excited actor. 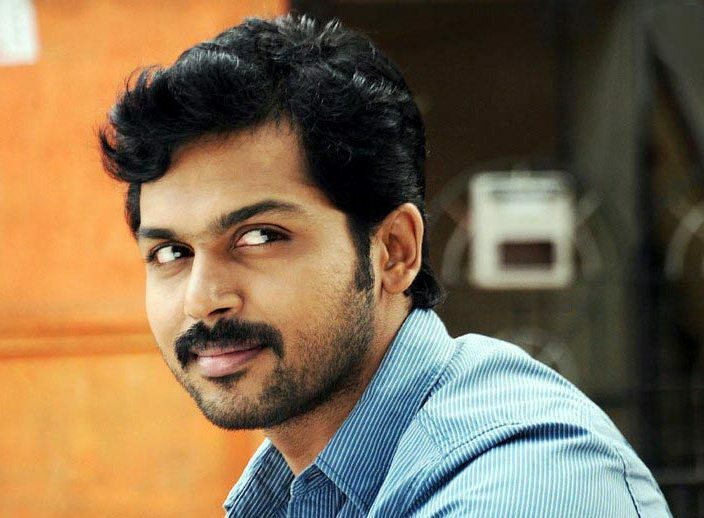 Karthi may have been launched into the film business with his father’s and brother’s influence, but he soon transformed into an individual actor with his own style. Yugaaniki Okkadu, Awara and Naa Peru Siva proved that he is capable off pulling off the show single handed. After Sakuni, which did not make any impact at Box Office, Karthi is now back with a lighter metric comedy that looks promising. Karthi will also be seen singing in the film. “I am very confident that Biriyani will be as good for viewers as the famous Hyderabadi Biriyani” he said, in a lighter tone, while speaking to a newspaper tabloid. Here is wishing Karthi a great success with Biriyani. The tasty delight hits the screens this Friday.